Throughout his life, Andre Friedman has forged his own path, seizing opportunities and never letting adversity stop his progress on the path to success. Andre was born in 1928 in Salgotarjan, a small Hungarian town. Salgotarjan had a Jewish community of approximately 300 families out of a total population of 15,000. He grew up as an observant Jew, attending a state-run school in the mornings followed by Hebrew school in the afternoons. Anti-Semitism was already heavily prevalent during Andre’s childhood. As a young teenager, his parents sent him to Budapest to continue his education when the continued rise of anti-Semitism barred Jews from attending the local state-run school. When the Germans occupied Hungary in March 1944, Andre returned to Salgotarjan to be with his mother. His father had been sent to a forced labor camp the previous year. 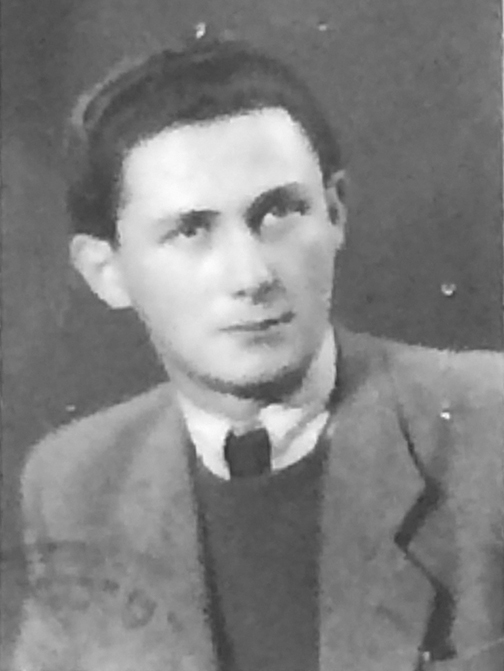 The Salgotarjan Jews were soon forced into a ghetto, and at 16, Andre was sent to a forced labor camp along with other men ranging in age from 16-50. Those remaining in the ghetto were sent to Auschwitz, where most perished, including his mother. Miraculously, Andre and his father survived. After the war, Andre returned to Budapest to finish high school. Following graduation, he enrolled in a university there to study economics, but left after one year when the Communists seized control. Andre knew he’d have to leave Hungary to find opportunity, but emigration was declared illegal. 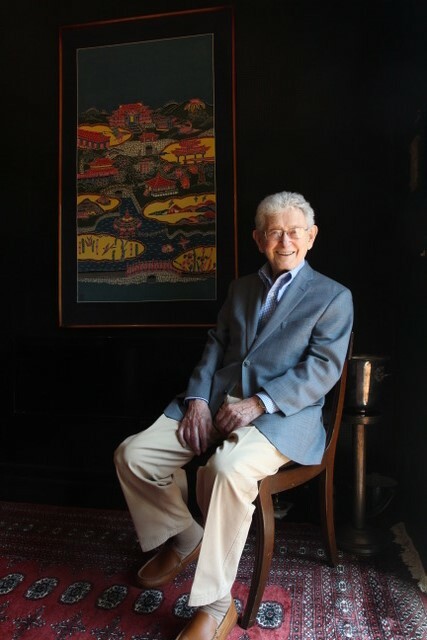 Following a circuitous journey through several countries, Andre connected with an outpost run by the new Israeli government, and arrived in Israel in April 1949. In Israel, Andre joined the Israeli armed forces, serving two years in the Air Force. His time in the military afforded him the opportunity to learn Hebrew and Israeli culture, and focused his interest in the field of law, which led him to the Hebrew University of Jerusalem (HU). In 1951, Andre matriculated at the Hebrew University’s Faculty of Law, then housed in an old French monastery in Jerusalem. He was a member of the Faculty’s fourth class and graduated in 1956. At the time, there were no fees for attending HU, but most students still needed to work to cover the cost of living. Recognizing this, the university held classes in the late afternoon and evenings. Andre’s first job was in the Israeli Ministry of Commerce. Rising quickly through the ranks, he subsequently joined the State Controller’s office where he oversaw activities within the Foreign Exchange Division of the Treasury. After completing his degree, Andre received a scholarship for post-graduate studies in France. He returned to Israel for a short time before leaving for another educational opportunity, this time in the United States. Andre had been accepted by Baruch College’s Business School in New York City. Andre worked a variety of jobs to support himself when he came to New York. He worked as a file clerk in an export company, working his way up to become an assistant trader. His plan was to stay in New York for two years to earn his MBA and return to Israel, but frequent business travel to the Far East made it impossible for him to continue his studies at Baruch. But there was something else keeping him in New York. In 1960, Andre met his wife, Rita, and called New York home. At the time, American regulations didn’t allow graduates of foreign law schools to practice law, so in 1964 Andre married Rita and launched his own export business exporting construction materials around the world. During the 1980s, law practice regulations changed; Andre took the bar exam and could finally practice law in the U.S. At age 56, he sold his export firm-which by then had a presence in over 10 countries-and began his international law career. With decades of experience in international trading, Andre went on to lead a successful legal career that took him all over the world, including back to Israel and Hungary. He represented many high-profile clients, and served as Regional General Counsel of Teva Pharmaceutical Company in Eastern Europe. Andre’s story is indeed one worthy of note, filled with courage, tenacity, and a love of life. The Hebrew University is proud to be part of his remarkable life journey.